His poems are passionate and full of rich images and exert a strong and dignified intelligence." Welcome to Joel Hayward's Poetry. I created this small website as a place to post selections of the poetry I have been writing over the last few years. Many of these poems are unpublished and will go into my fifth collection. 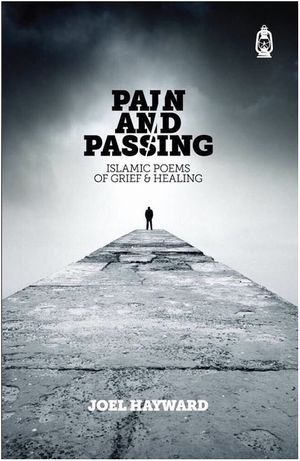 My fourth, Pain and Passing: Islamic Poems of Grief and Healing, about the tragic death of my wife Kathy, appeared in January 2018. 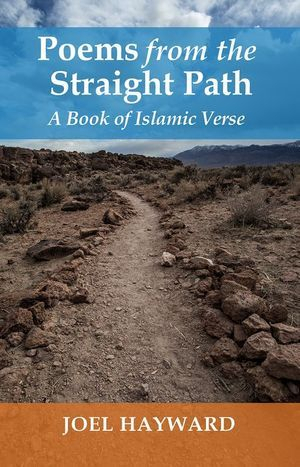 Some other poems posted here are included in my recent book, Poems from the Straight Path: A Book of Islamic Verse (White Cloud Press, 2017). 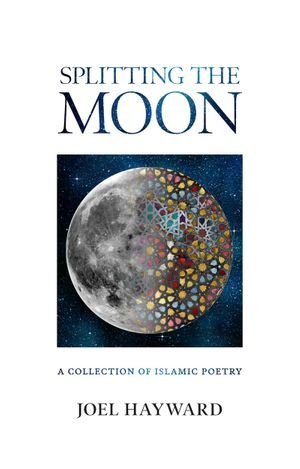 Others appeared in Splitting the Moon: A Collection of Islamic Poetry (Kube, 2012) and Lifeblood: A Book of Poems (Totem Press, 2003). "Memorable and insightful. ... Thumbs up for Hayward's work"
"... as an academic, and now as a poet and fiction writer, Hayward has achieved much. This is a complex book, and deserves a much longer review. Hayward is at home with the visceral, the cut and thrust of argument, war and death, pain and revenge.... The poems are racy and innovative, a definite cut above the moderate fare currently on offer. You enter a whole new world when you read Joel Hayward's poetry." 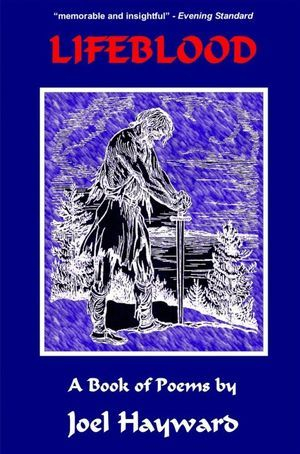 "Hayward's eclectic poetry reflects his enigmatic mind. ... His poems are passionate and full of rich images and exert a strong and dignified intelligence. Hayward exerts a courageous strength, rebelling against his past creative constraints, and in perhaps a flush of originality and ambitious flair, has achieved a work of art." and I'd brushed after she'd answered some fluttering call of her own? and oh how valiant you were! Oh tu as un cœur de lion! What would I have done with it anyway? Kept it like a genie to uncork whenever regrets weighed most? Whenever my shame crept out? "Bismillah ar rahman ar rahim ..."
He couldn't say "Come forth"
you said "I'll never need those again"
To where have you withdrawn? some vast cathedral of confusion? a cell with a sentence? a single memory of warm things? Are you with devils or angels? Stop coming, I said! Leave her! Take her! She's had enough! Then jeered go hide your shame! © 2012-2018 Joel Hayward. Islamic poetry in English. All views expressed here are Prof Haywards and are not associated with National Defense College or any other organization.